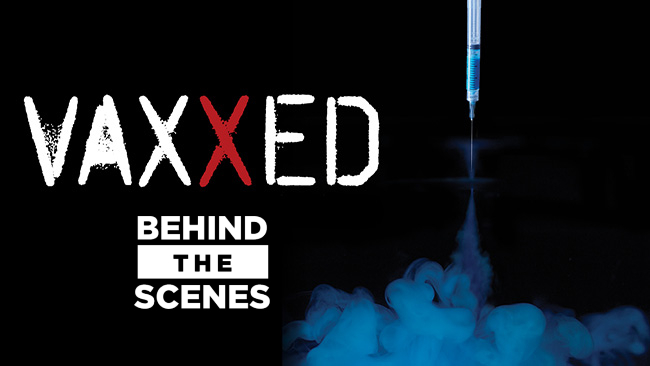 This interview goes behind the scenes of the documentary Vaxxed: From Cover-Up to Catastrophe. VAXXED is about an investigation into how the CDC, the government agency charged with protecting the health of American citizens, destroyed data on a 2004 study that showed a link between the MMR (measles, mumps, rubella) vaccine and autism. This alarming deception has contributed to the skyrocketing increase of autism, potentially the most catastrophic epidemic of our lifetime. Del Bigtree was an Emmy Award-winning producer on the daytime talk show The Doctors, for six years. With a background both as a filmmaker and an investigative medical journalist, he is best known for combining visually impactful imagery, raw emotional interviews and unbiased investigative research into stories that push the envelope of daytime television. Some of his most thought-provoking episodes include a rare televised debate between Monsanto's head of toxicology Dr. Donna Farmer and GMO activist Jeffrey Smith and an exposÃ© on a "gold standard"Â� medical test that mistakenly indicts loving parents for child abuse, causing their children to be remanded to Child Protective Services. When Bigtree began investigating the story of the CDC Whistleblower and the fraud perpetrated by the CDC, he soon realized that he had stumbled upon a story of corruption and deception beyond any he had ever seen. Further investigation into the wrongful destruction of Andrew Wakefield's career orchestrated by Big Pharma and the UK Department of Health inspired him to focus all of his attention on what he believes to be the most crucial documentary of the year. Bigtree is proud to be working side by side with Andrew Wakefield, one of the most important minds of our time, to create a documentary that will not only alert Americans to the outright destruction of their civil liberties, but will lead the charge to demand the formation of a genuine independent research body conducting legitimate science to ensure that all vaccines are truly safe. Members, you can subscribe to our RSS feed or Podcast below. Copyright Manticore Media. All Rights Reserved. Our Material may not be published, broadcast, rewritten or redistributed.